Baking is a form of creativity for me. It serves my love of hospitality. 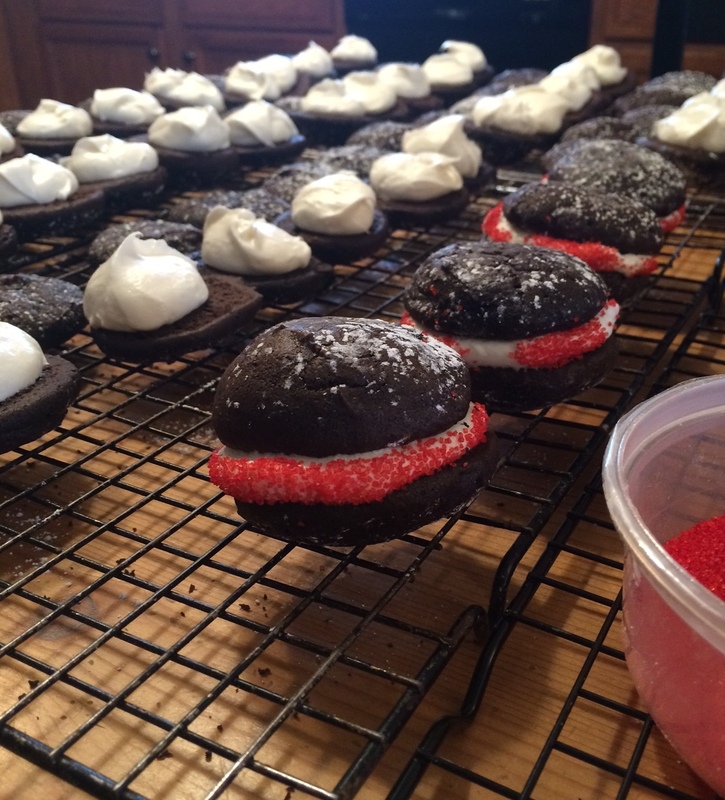 The Amish and New Englanders both claim the famous Whoopie Pie as their creation. With my Mennonite heritage and my husband’s birthplace of Maine, they are a clear favorite in our house. Here is a festive spin on a traditional chocolate cream pie. Perfect for Valentine’s Day! Bake 7-8 minutes at 400 degrees. Cookies are done when an inserted toothpick comes out clean. Mix well 3-4 minutes until stiff. Fill and enjoy! Optional: roll in sprinkles. I’m anxious to try your filling. My grandmother used to cook her filling and no matter what I do I just can’t get it right. Nobody bakes like grandma. ahh…this is much easier and much better. It has the consistency of a donut cream filling. But do not whip the egg whites first.